Not content to be left out of the Theme Park game any longer, Twentieth Century Fox has announced they will be opening their very own theme park. 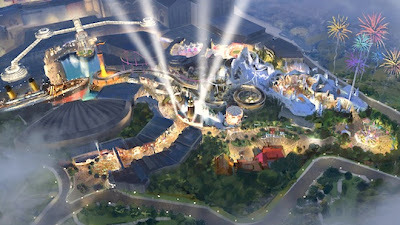 Set in Malaysia, Fox will build it own 25 acre theme park about an hour outside of Kuala Lumpur which has an subjective opening date of 2016. It will be attached to an already established resort property called "Genting Highlands" which is currently operated by Resorts World Genting. 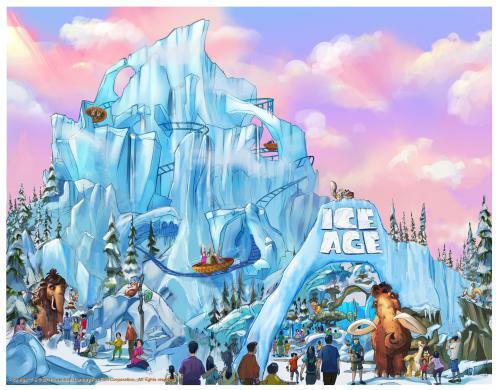 At a cost of around $300 Million the park will feature over 25 rides themed off Fox Properties such as "Rio", "Ice Age", "Planet of the Apes", "Alien Vs. Predator" and "Night at the Museum". “The opening of the first Twentieth Century Fox World theme park at Resorts World Genting takes our rich history of storytelling to a whole new level and will provide an exceptional entertainment experience,” said Jeffrey Godsick, President of Twentieth Century Fox Consumer Products. Early rumors about the park include an "Ice Age" themed family roller coaster and a possible simulator ride. Many believe rumors that this is just the first in Fox's new Theme Park venture, with plan to possibly open them all over the world. However, don't expect one to show up in the United States anytime soon. Fox has stated the US market is "over-saturated". This makes me wonder, has Fox has dropped their bid to open a Theme Park at the Miami Zoo? Oddly enough this isn't Fox's first sprint in the Theme Park world. Their first attempt, a place called "Fox Studios Backlot Theme Park" which was a conversion of their filming studios in Sydney, Australia. That property closed down in 2001 and blames a drop in tourism as well as the 9/11 attacks for a lack of foreign travel interest.